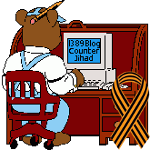 Fighting a reign of gangland terror in Australia – in which Muslim immigrants play a major role — 1389 Blog - Counterjihad! DETECTIVES investigating the assassination of Punchbowl father Ali Eid have linked his death to a spate of underworld turf wars involving three murders, an attempted murder and a kneecapping. The Daily Telegraph can reveal police have established links between a chain of homicides and gang activity across Sydney over the past six months that have become part of the “biggest investigation under way in NSW”. THE drug-related murder of tiler Ali Eid, 38, and attempted murder of electrician Mohammed Hannouf, 34, on Lumeah Ave, Punchbowl, on November 27. THE murder of newly patched Comanchero member Faalau Pisu, 23, and the shooting of two other men at a bikie wedding in Canley Vale on November 5. THE double murders of bikie drug cook Roy Yaghi, 33, and his friend Jamie Grover, 27, in a ute at South Wentworthville on November 30. The activity of gangs has been at the centre of continuing debate over gun crime and gun importation, which have prompted significant community concern about public safety and inquiries into border security. The revelations came as more than 100 tactical police, detectives and riot squad officers descended on six homes at Merrylands, Bankstown and Punchbowl, charging six men aged from 19 to 25 over an unrelated shootout on July 21. There is no suggestion any of the men arrested are in any way connected with the homicides or other major crimes that have now been linked. NSW Police Acting Assistant Commissioner Mal Lanyon confirmed that possible links between several shootings were now being examined by a number of police teams. Yesterday’s raids over the July 21 shootout on Broughton St, Old Guildford, had been planned 10 days in advance by officers from strike force Sevenoak of the Middle Eastern organised crime squad.Detectives believe that the July incident was over drug turf, and was targeted at known drug dealer Khaled Khalil – a member of the street gang Brothers For Life – who is due to be sentenced for a drug supply charge tomorrow. The Daily Telegraph was yesterday at the scene of several raids as they unfolded, after complying with a request from NSW Police last week to hold publication of the dramatic developments in the case. In a separate development, a team of investigators from the homicide squad’s strike force Pendey, which is investigating the murder of Mr Eid and the near-fatal shooting of Mr Hannouf, raided a property at Punchbowl for six hours. A large number of exhibits were seized by officers, who used metal detectors to search the backyard. Detectives also seized a metal safe from inside the Punchbowl property and used a small camera to examine its contents, before prising it open with giant pliers. A number of items were examined from inside the safe, including a metal key and a plastic bag containing an unknown substance. The dawn raids followed the extradition of parolee Bilal Haouchar, 26, from Queensland. He was arrested in a dramatic police swoop at Hope Island on Sunday along with a senior Comanchero bikie. Haouchar’s family home at Merrylands was one of six properties raided yesterday. He has been charged with discharging a firearm with intent and firing a firearm at a dwelling with reckless disregard for safety. While no one was badly hurt, Khalil was later “kneecapped” at Yagoona on October 8. Editor’s note: We have deleted most of this comment. It involved a tale that we have chosen not to cover and suggests things which we do not advocate. However, his little poem in the middle is worth keeping.